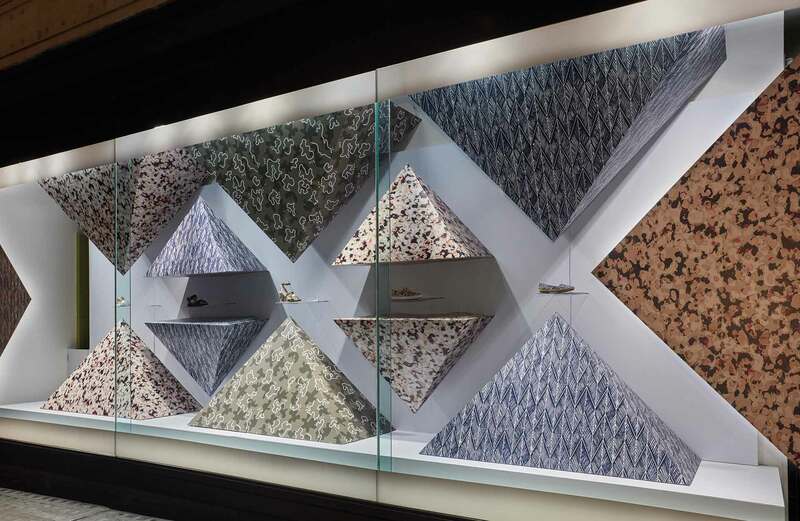 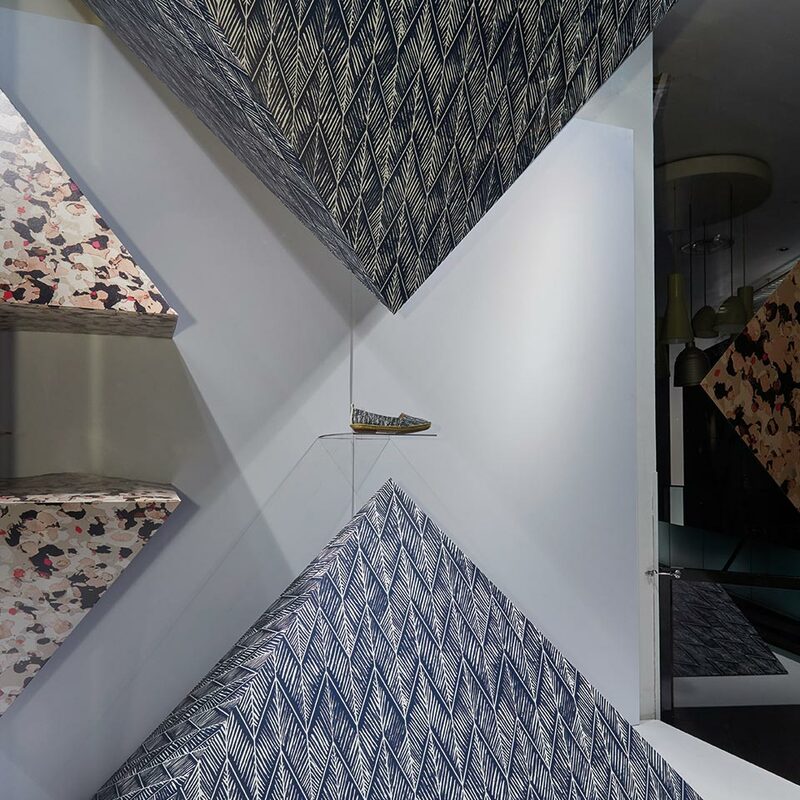 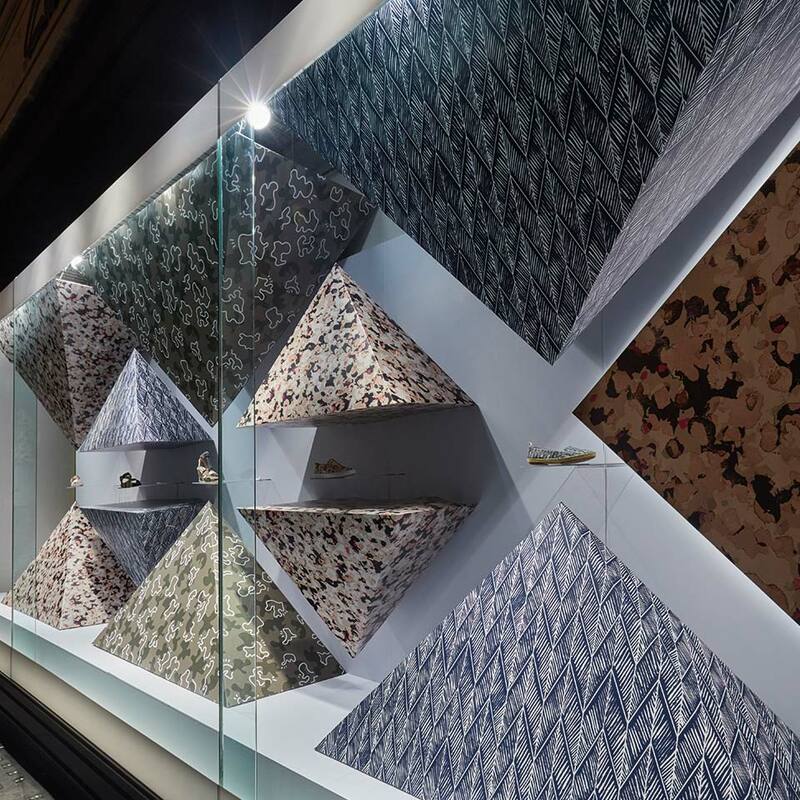 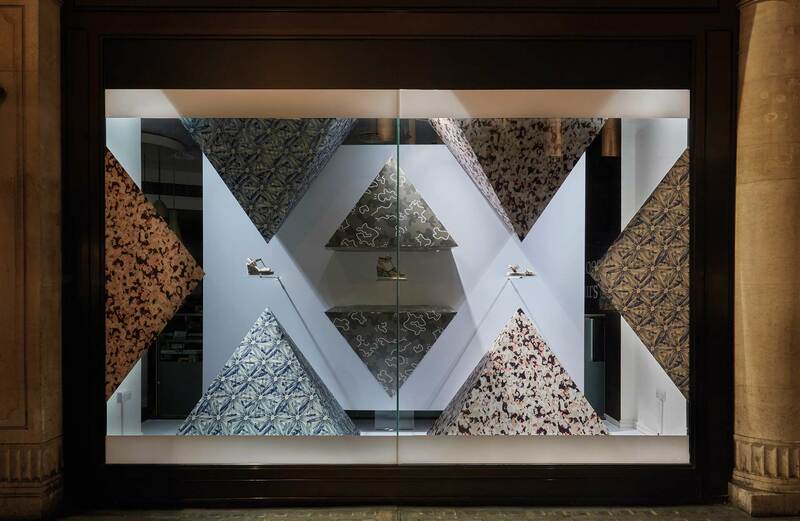 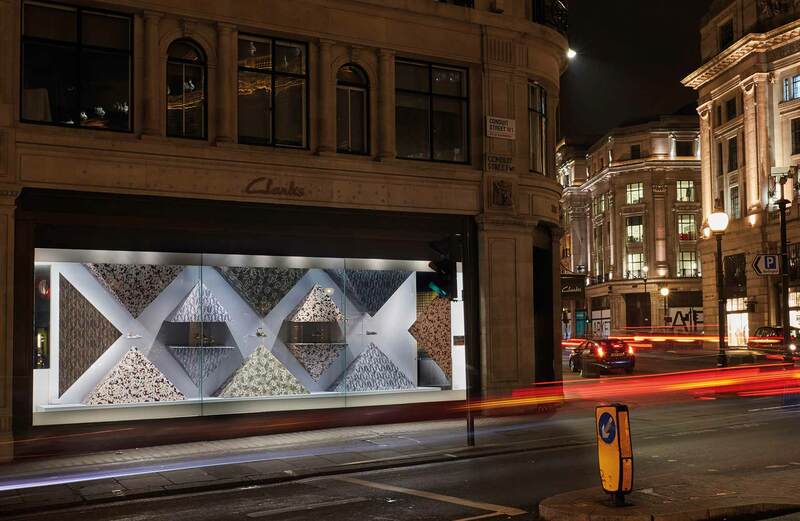 Working from Clarks Design Team’s initial visuals, we developed, produced and installed the latest scheme at their Regent Street flagship; a complete take over to promote the release of their new collection Fresh Prints. 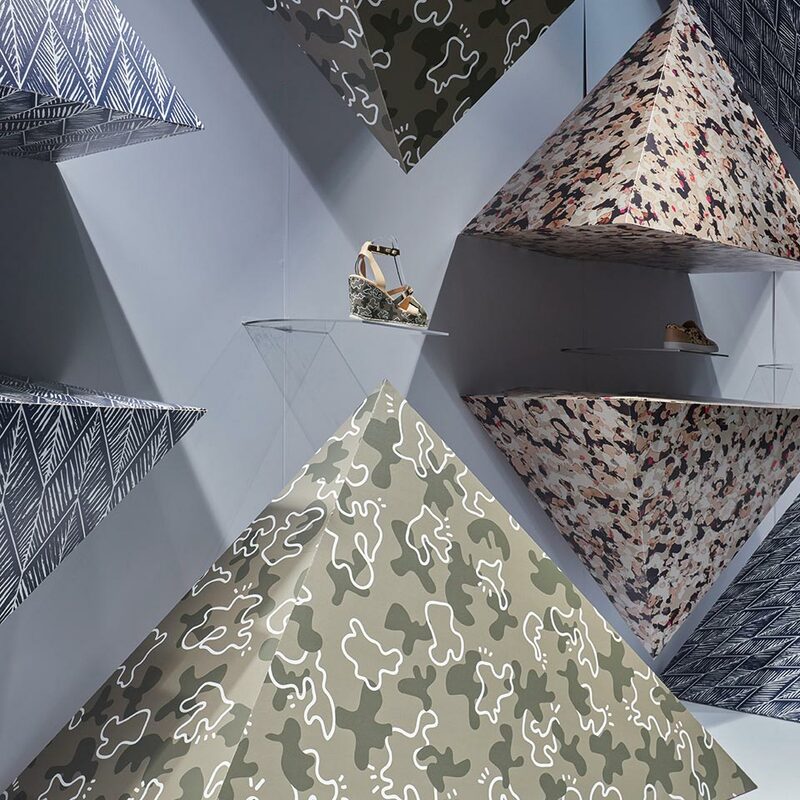 The windows included multiple cardboard engineered pyramids each one with a custom print to replicate the collection. 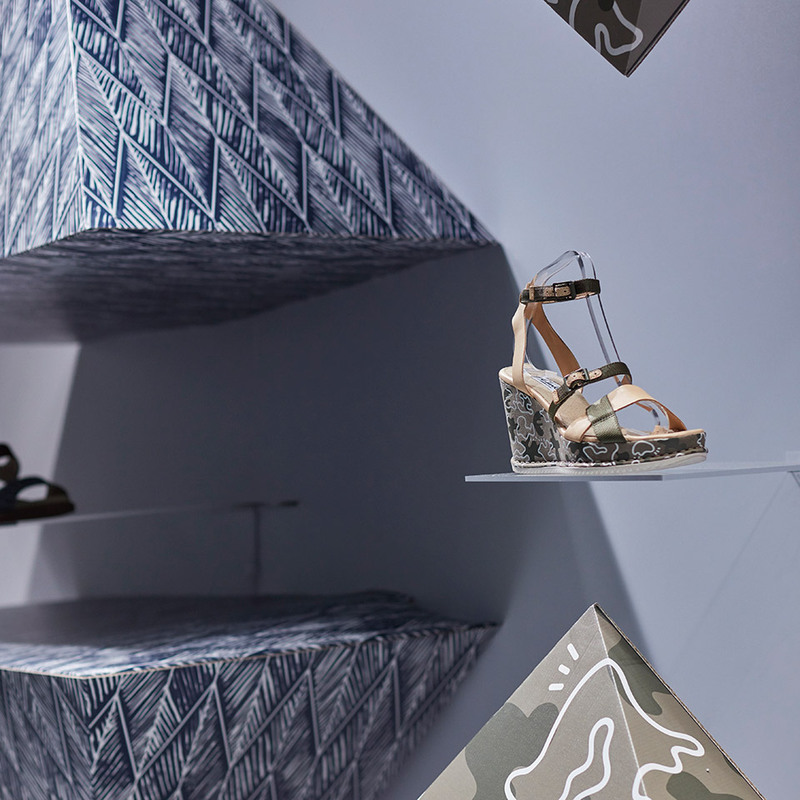 Clear acrylic was used to create floating shelves to showcase the latest products from the collection.